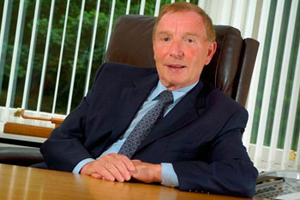 Kwik-Fit founder Sir Tom Farmer has led industry plaudits for the Edinburgh International Conference Centre (EICC) after the venue announced that it has contributed £280m to the local economy during its 15-year history. The Kwik-Fit Silver Jubilee Awards ceremony was the EICC’s inaugural event in 1995. This month, the venue is celebrating its 15th anniversary and since opening, has seen 907,100 delegates pass through its doors. Sir Farmer said: "I wanted to be the first event at the new conference centre and I have since watched it give many other companies the same international platform it gave our business. EICC truly is a credit to Edinburgh." The EICC is currently undergoing a £85m expansion, which will open in 2013 and add a 2,000sqm multi-purpose events hall.